Three years ago, the School of Fashion at Parsons School of Design restructured its entire BFA Fashion Design curriculum, introducing four new educational pathways for students: Collection, Materiality, Fashion Product, and Systems and Society. 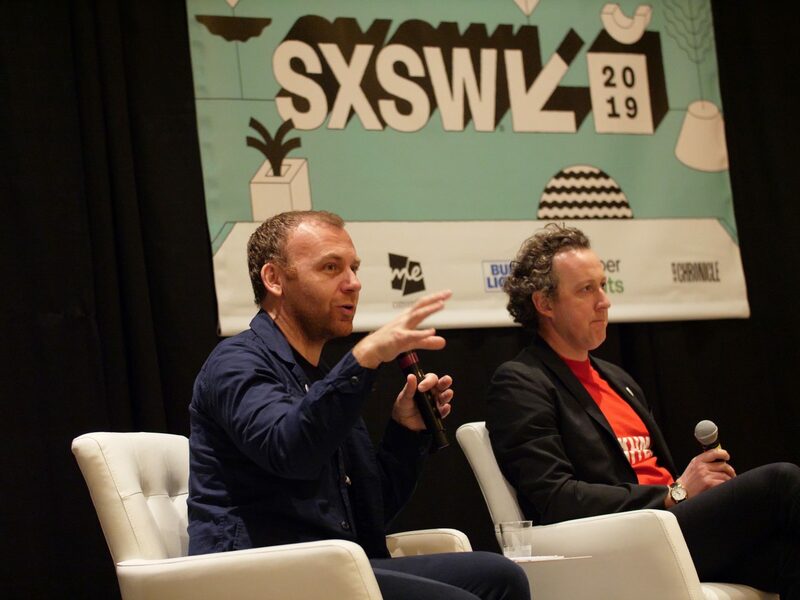 In a recent panel discussion at SXSW 2019, Brendan McCarthy, director of Systems and Materiality, highlighted an innovative partnership that evolved out of the new pathways established at Parsons. McCarthy was joined on the panel, titled “Sustainable Menstruation Products for Refugees, by Refugees,” by Burak Cakmak, dean of the School of Fashion; Anne-Sofie Munk, strategic partnerships specialist at the United Nations Population Fund (UNFPA); and Nadya Okamoto, founder and executive director of Period, the largest youth-run NGO for women’s health in the world. The collaboration between Parsons and the UNFPA resulted in the creation of a sustainable menstrual undergarment designed with displaced people in Kenya and Hela, a specialized apparel manufacturer. Parsons students, a diverse faculty team, and members of the UNFPA worked together to define the project and determine what kind of product would be most beneficial for displaced people. The discussion focused on UNFPA’s work, which includes advocating for universal access for sexual and reproductive health and rights and promoting education about safe birth, family planning, access to contraceptives, and mental health. Okamoto also discussed her organization’s efforts to provide both menstrual products and education for underserved communities and highlighted the importance of employing sustainable practices in the creation of menstrual products. McCarthy also underscored the importance of design education in this process and noted that a range of voices and approaches are necessary for creating real, lasting change. Munk and Okamoto both spoke about the need to reframe the conversation about menstrual products by removing the stigma attached to menstruation and defining the products as a necessity, not a luxury. Parsons is working to address many pressing concerns around healthcare and other needs through design. Last year, students worked with Care+Wear to create a new hospital gown and partnered with AARP to design clothing for older people. Serving as moderator, Cakmak guided the conversation and offered his own perspective on sustainability and innovation in fashion. He also drew connections between policy, products, and systemic change.